A regular update will be published here after all Committee meetings in order to keep Members and the wider piping public fully informed of the activities of our Association. 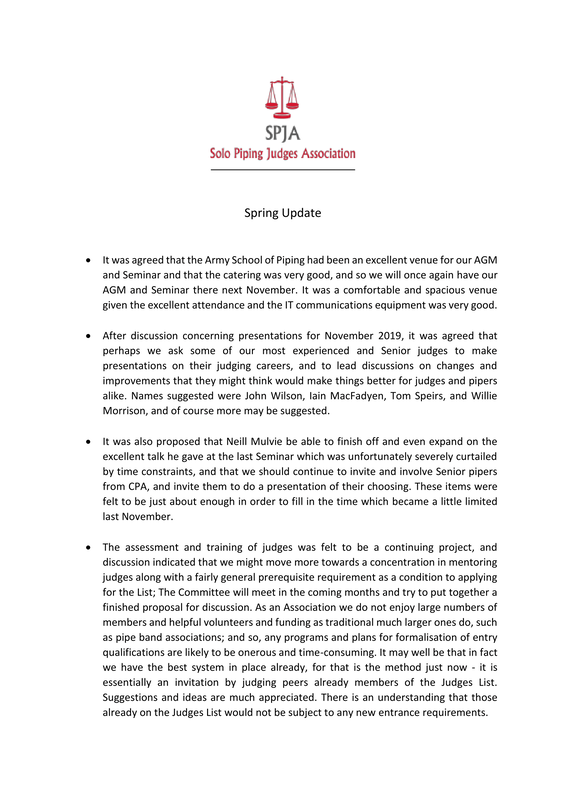 The Committee presents these updates as a way of fully informing SPJA members of all matters pertaining to the Association and wishes to solicit and consider the views of all of its members. Consistency and transparency are a priority and as such ideas, concerns, and input is invited from everyone so that the Association can represent the views of its members to the benefit of all.